I hope that these charts will help keep who is related to who as the hearings continue. 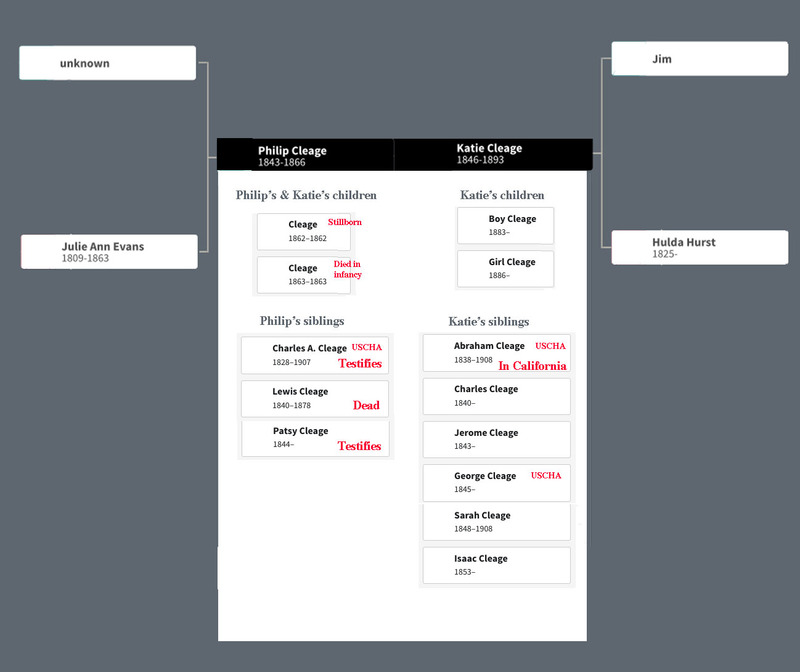 The first chart shows the family relationships between Philip’s family on the left and Katie’s family on the right. In red you can see who testifies, who was in the United States Colored Heavy Artillary with Philip. Click to enlarge. Family relationships for Jemima and Alexander Cleage. 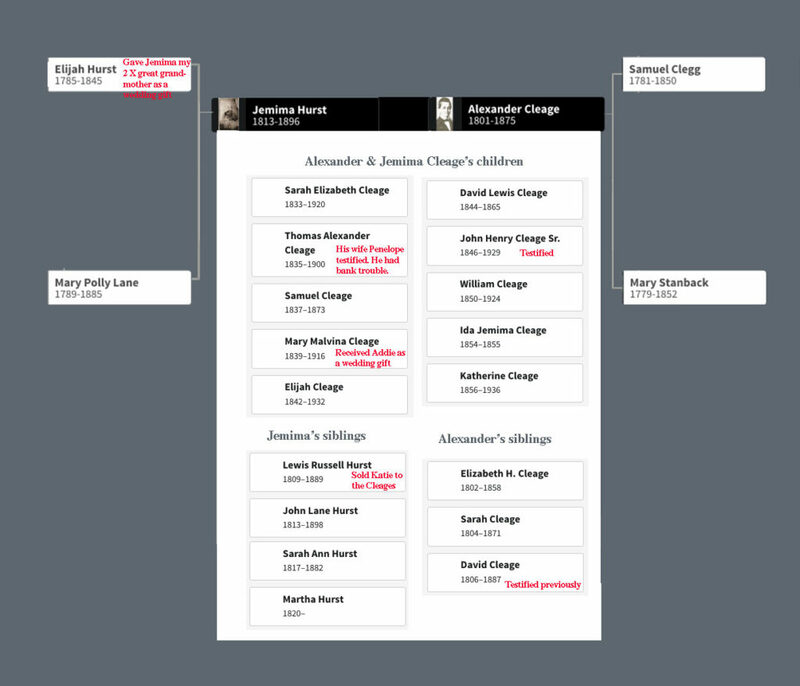 This chart shows Alexander and Jemima (Hurst) Cleage’s family relationships. The information in red gives information about who testified and who gave and received gifts of enslaved people.